A Ride to the Unknown with a Posse of Jazz Outlaws! Hello Good Folks, you find me as I’m whisking off this note and getting ready for some good day sunshine. It’s spring, the sun is out and the Beatles music lives on, alive and well! Our Beatles show last weekend at the Museum of Making Music was a wonderful event and thanks to all that made it out. Sold out and enthusiastic! The band was cooking and many thanks to Matt Falker for singing up a storm along with Kevyn. The blend was magicalBeatles enveloped in the world of jazz and samba! We’ll definitely do it again further down the road. 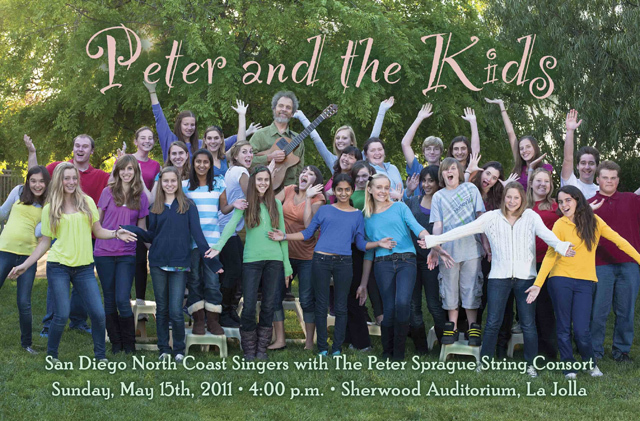 The big news for the week is our "Peter and the Kids" concert on Sunday at Sherwood Auditorium in La Jolla. This project started out many months back with Sally Dean and the North Coast Singers commissioning me to write a piece that incorporated their 40 person choir along with my String Consort group. I holed up for a month planning out what everyone should do at each given moment and with the score complete, we embarked on the journey of learning the notes and making sense of the madness. Well folks, that day is here and we’re thrilled to present the piece to your waiting ears. The 30 minute composition features lots of choir ensemble harmony, two solo vocal spots, a guitar solo, a bass solo, virtuosic violin excursions, a drum solo, samba grooves, a gospel section and we’ve even incorporated a young rap fellow who has his moment in the sun. It’s a big undertaking and we’re working hard to pull it off. And one of the coolest things about it is seeing the kids as they take a ride to the unknown with a posse of jazz outlaws. Illegal harmony ahead! Look below for details on the concert and we’d love to have you there! I'm the old fellow in the middle hanging out with these young spirited vocalists. You gotta dig the teen outlook! Also scheduled for this week is our monthly nights of music at Ki’s in Cardiff. 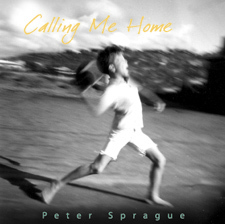 On Friday night it’ll be Tripp and myself telling our story as the Brothers Sprague. On Saturday night Kevyn Lettau and I will play our unique blend of jazz and Brasil. Can’t wait! 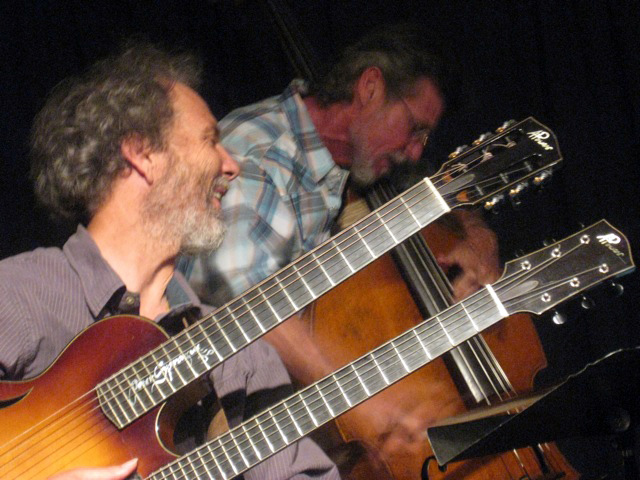 Guitarist Fred Benedetti, brother Tripp and I will play a free Saturday afternoon concert at the Escondido Library. We call ourselves Blurring the Edges and our musical vision is to blur the places where jazz, classical, the blues and the Beatles all meet, creating an improvisational tonic that is sure to get you arrested for driving under the influence. Party on Wayne! Coming up in June, I’ll be teaching for a week at the UCSD Jazz Camp. It’s a really cool setup for all instrumentalists with great instruction and ensembles culminating in a big final concert. Click here for more details. This might be just the right thing to start off your summer. I’m also told that they’re looking for more guitarists to join up and they do have some scholarship money available. Check it out! And the last news to report is that a really close friend of mine from Kauai, Michaelle Edwards, is in San Diego this week leading two yoga seminars. She has a unique direction with yoga and we’ve taken her classes in Kauai and loved it. If you’re interested, here is the info and nothing beats stretching your limbs with the aloha vibe mixed in! YOGALIGN COMES TO SAN DIEGO! Master yoga teacher, body worker and author, Michaelle Edwards of Kauai, has created a unique pain-free style of yoga combining self-massage, breathing, neuromuscular re-patterning and natural alignment. Learn to free your connective tissue and experience effortless effort in your daily life. You can feel like a kid at any age. Go to www.manayoga.com for more information. Michaelle definitely walks the walk and here she is looking great! That's it friends and thanks for reading.